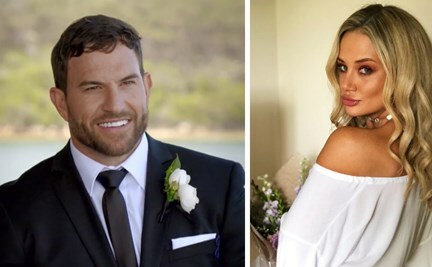 Married At First Sight: Jessica claimed both Mick and Tamara gave her the go-ahead for an affair with Dan. In the last night's episode, Jessica and Dan maintained to keep their secret affair private from others. The love birds sneaking out of the party already questioned many of MAFS whether the two actually have feelings for each other? Shelly Horton, co-host of Talking Married replies saying “That doesn’t sound true,” but she maintained that’s what happened." Jess was about to ask her scene back from the girls night saying: “So at the girls’ night and immediately replies saying, ‘You like my husband, if you like Dan, go for Dan’." Jess said about her subtle message to Tamara. “I did, I cheered her, 'I’m not too sure why she’s upset now.” Like other reality participants before her, Jess accused MAFS editing team of covering the blessings Mick and Tamara apparently gave. “These are things we’re not noticing at the minute,” she said on Talking Married. So guys, what do you think about the ongoing secret affair between Jess and Dan? Do you think they will open up about their feelings with everyone despite having a feud regarding Mike issues with his wife as well as Mick and Tamara giving permission to go-ahead with Dan?